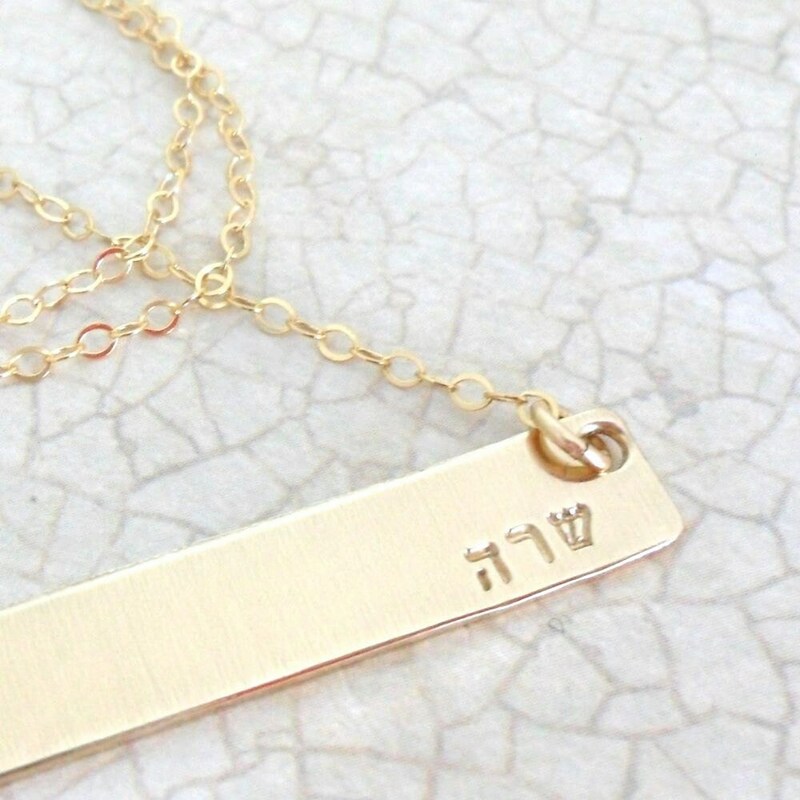 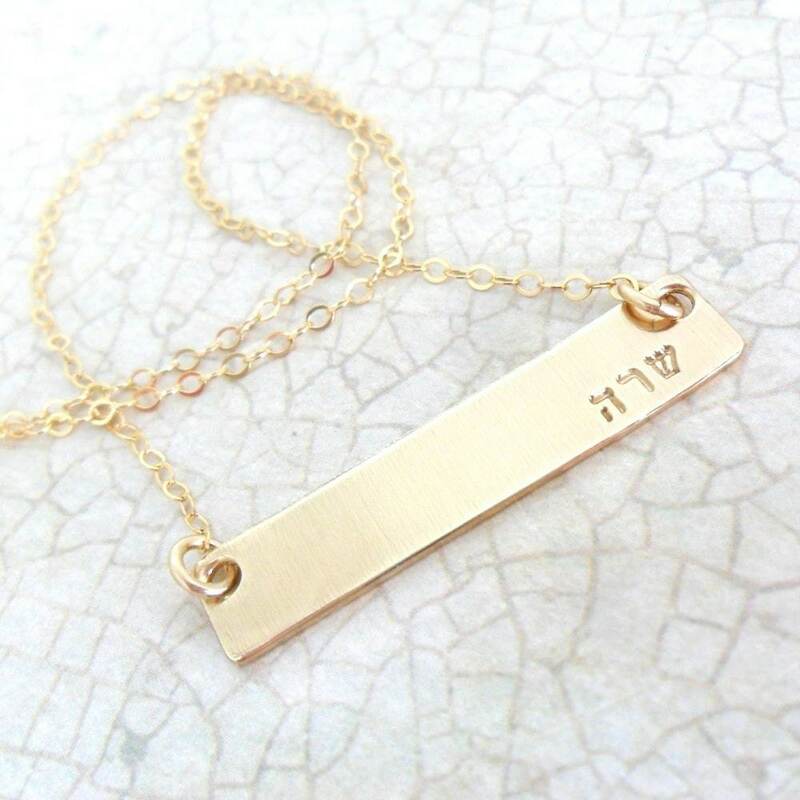 A 1.25" x .25" gold fill bar (18g thickness) will be hand stamped with the Hebrew name or names of your choice (separated by a dot) in the bottom right hand corner in my Tiny Hebrew font. 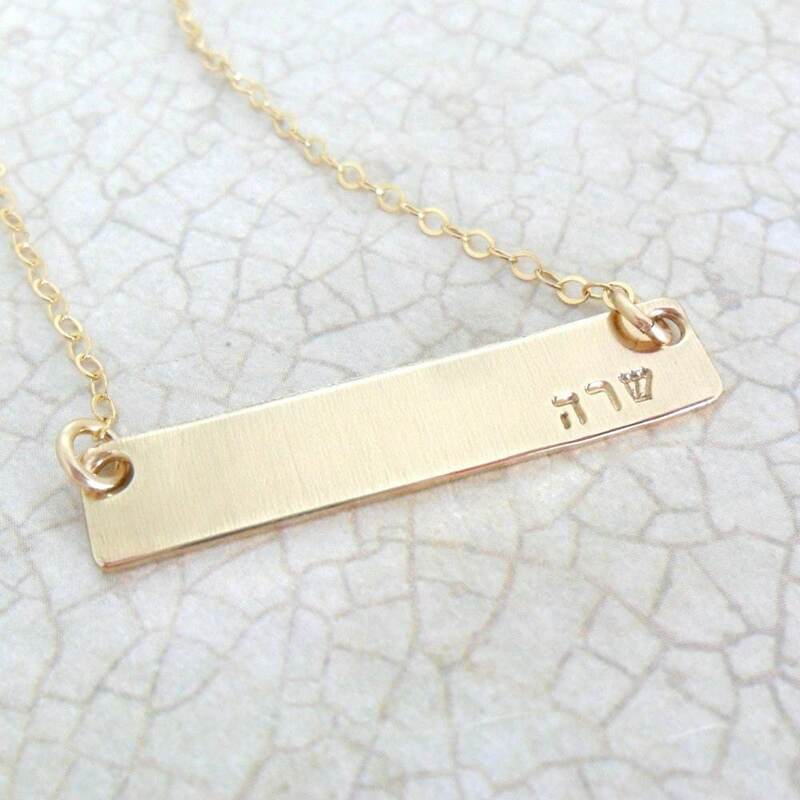 This necklace is very wearable--perfect for every day & will arrive with a 16", 18" or 20" chain--your choice! 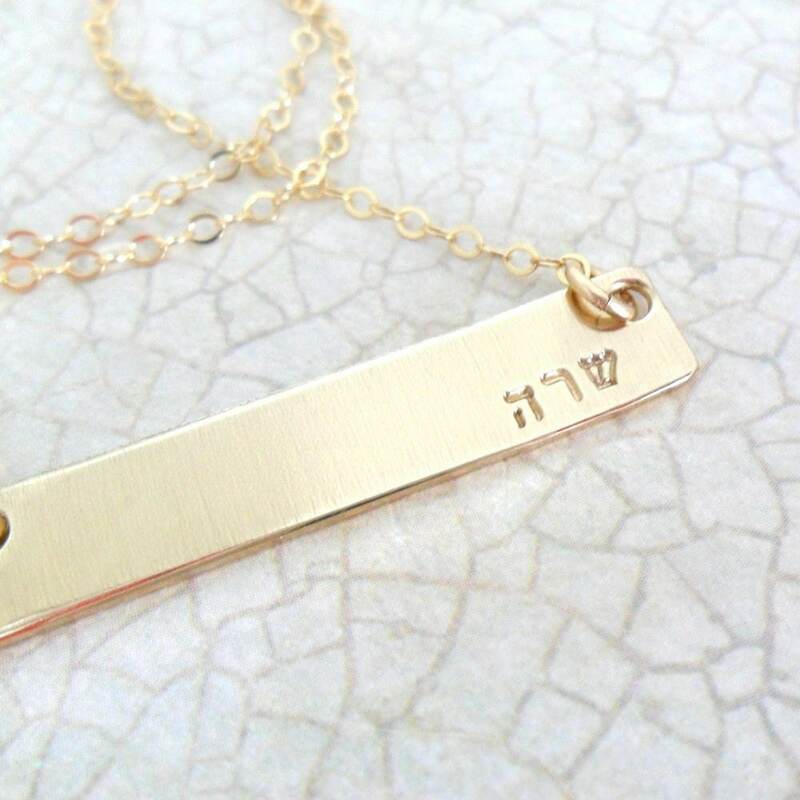 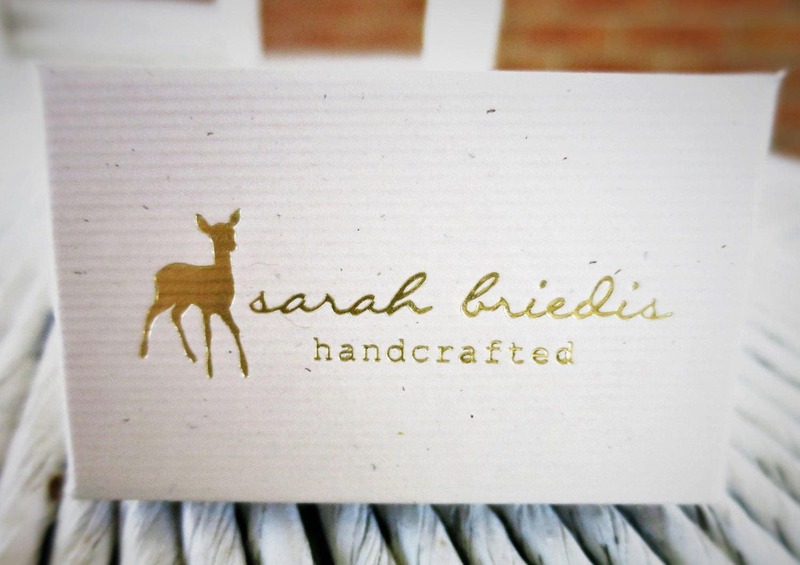 If you would like your names hand stamped in my Tiny English font instead that's no problem--just choose "English" at checkout!